What’s Behind the Information Age Curtain? Manuel Castells. 1996. Blackwell Publishers, Malden, Massachusetts. 556 pages. Manuel Castells. 1997. Blackwell Publishers, Malden, Massachusetts. 461 pages. Manuel Castells. 1998. Blackwell Publishers, Malden, Massachusetts. 441 pages. Such is the optimistic conclusion of Manuel Castells in his massive trilogy, The Information Age: Economy, Society and Culture. Within the same conclusion, however, this professor of sociology at the University of California, Berkeley, cites as prerequisites many miraculous changes in the global social conscience. And the likelihood that these miracles will be realized seems as remote as the Emerald City in The Wizard of Oz. What Castells doesn’t seem to realize is that human nature is the wizard behind this curtain, and unfortunately he doesn’t see that for what it really is. 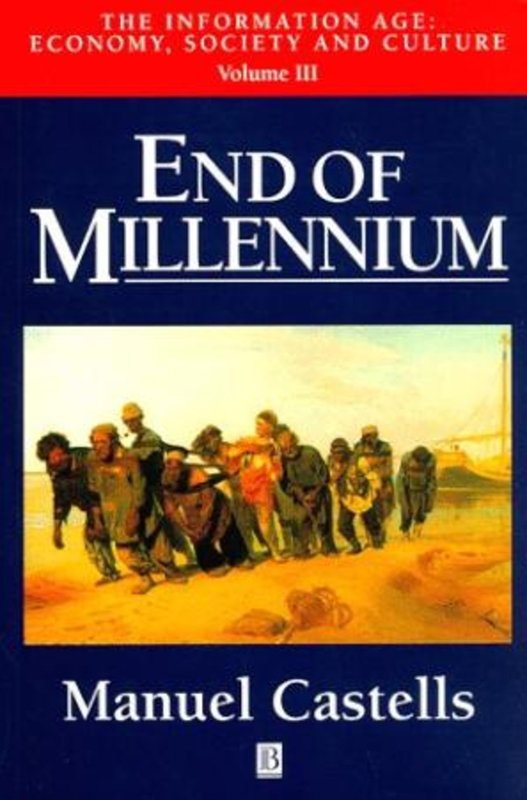 In his conclusion he states that “there is no eternal evil in human nature.” Yet he warns in his third volume that the Information Age has the potential to greatly expand the gap between rich and poor nations, that the weakest in society (especially children) stand to be exploited by the new global economy as never before, and that a rising global criminal economy will wield unprecedented power. In the same volume he readily admits that “we are all inhabited, at the same time, by humanity’s angels and devils, [and] whenever and wherever our dark side takes over it triggers the release of unprecedented, destructive power.” Castells is to be applauded for recognizing that human nature is at the crux of the success or failure of the Information Age, but his optimism is not supported by his analysis of these monumental changes. In fact, he identifies the potential for more negative than positive scenarios as the world speeds blindly into what many believe will be the greatest social upheaval in the history of humanity. To be fair to Castells, he does not intend to suggest a coming utopia. His intent with this work was not to engage in futurology, but to present the situation as it presently exists and to identify the social and economic factors that would be most affected by the technological revolution. He acknowledges his optimism but defends it when he writes, “I believe in rationality . . . without worshipping its goddess. I believe in the chances of meaningful social action . . . without necessarily drifting towards the deadly rapids of absolute utopias.” The question that remains is whether the new technologies will bring us a better world or whether they will be used for destruction, as were all too many technological advances in the 20th century. Castells will certainly have a major impact on the debate about what traditional institutions should or should not do to influence the progress of the Information Revolution. The author of more than 20 books, many dealing with the impact of information technology on society, he is recognized by business leaders and academicians alike as the premier expert on the social ramifications of the Information Age. Castells has long been a citizen of the subject on which he is an expert—the new global economy and culture. He himself is a globalized social theorist. Born in Spain in 1942, he taught at the University of Paris for 12 years before moving to California. He has taught and conducted research all over the world and has been an advisor to heads of state from Europe to Latin America to Asia. He has been a member of the European Commission’s High Level Expert Group on the Information Society and is a member of the European Academy. In the last year, Castells has also become a star speaker at major conferences on the Information Age. He was one of a very few academics to address the World Economic Forum earlier this year, with an audience that included George Soros, Bill Gates and Kofi Annan. In the new economy, information is the most important currency. 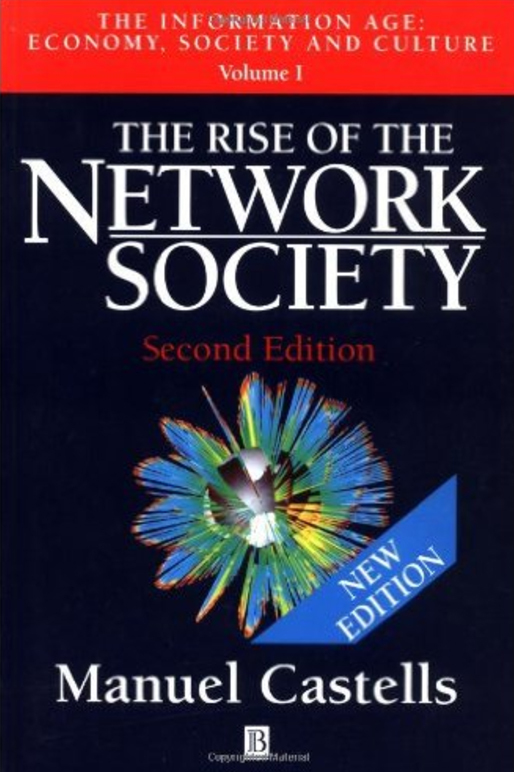 Volume One is titled The Rise of the Network Society. In it he introduces a new term, informationalism—a new economic model evolved from capitalism. In the new economy, information is the most important currency, and new models of production are forming as a result. Castells illustrates how the global economy is now reliant on the continuous and instantaneous flow of information, and how that flow has changed consumption and production. Enormous power has been invested in those who control the information pipelines, and very often that power goes politically and legally unchecked. 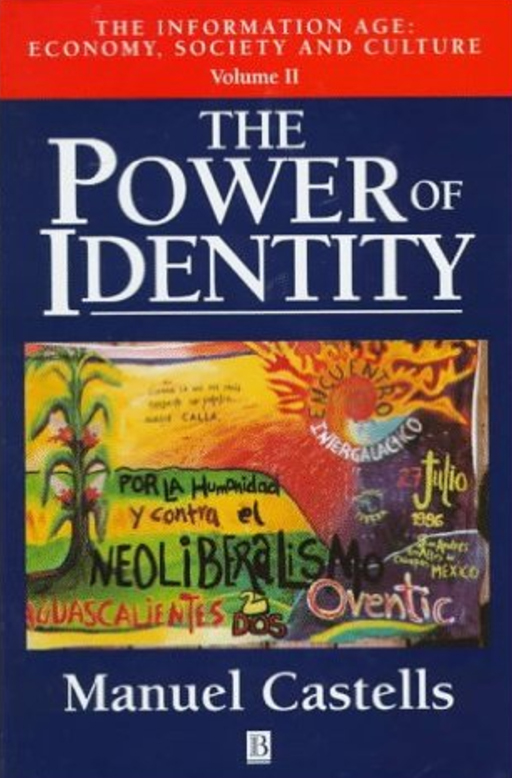 Volume Two, titled The Power of Identity, shows the major counterforce to networks and globalization: old and new groups expressing their collective identity. Here Castells identifies social (and to a lesser degree economic) communities that are emerging, and he comments on their shifting and transitory nature and how they are undermining the old structures, including ethnic cultures, the family and the nation-state. The three volumes work together to establish the fact that a new global economy and culture are emerging, driven by the engine of capitalism. This new state of affairs will in turn come under threat from the pressure of other social movements, ethnic groups and virtual cultures that are arising in response to the rapid shrinking of the globe. All of these forces will utilize the speed and pervasiveness of the network to stake out, defend and promote their identity. Information capitalists, nation-states and traditional institutions will have to take each potential threat seriously, no matter how insignificant it may seem initially. A new global economy and culture are emerging driven by the engine of capitalism. Castells cites the success of the Mexican Zapatistas rebellion as evidence. This relatively small and isolated group, devoted to preserving the culture of those native people of Mexico who were threatened by global interests such as NAFTA, was able to hold the Mexican government at bay by appealing to the greater global community for support via the Internet. Yet it seems the new technologies put all entities at risk. The very same special-interest groups and individuals that are empowered by unlimited information will also have their identity threatened by competing social movements. Thus no one will have a secure sense of identity. It is no surprise that Castells, a former Marxist, concentrates on the plight of workers through all of this change. He believes a major consequence will be great uncertainty in employment resulting from a dramatic change in how we work: labor pools will be defined increasingly by temporary ventures that Castells terms “projects”; corporate firms and businesses will constantly shift their focus; and many firms will become sources of capital as opposed to producers of goods and services in the traditional sense. These factors may work together to produce a situation not unlike that of the 19th century, when vast groups of people were uprooted to fulfill the labor needs created by the Industrial Revolution. These are just a few of the general trends that Castells attempts to identify. 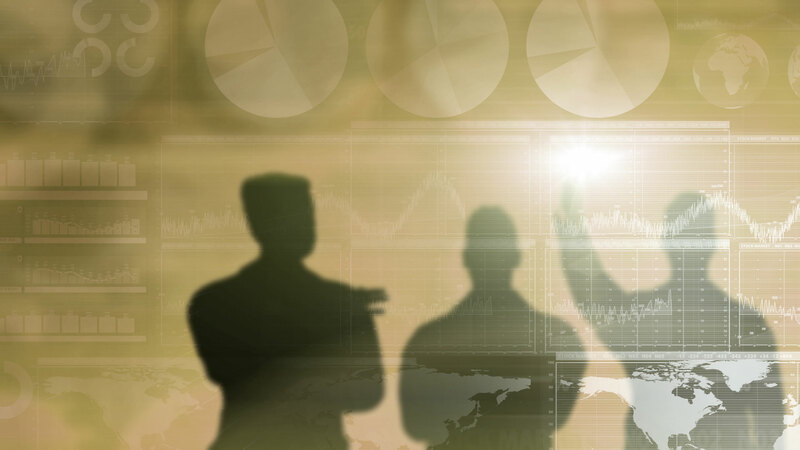 While the three volumes are long on data and short on firm conclusions about the future, the specifics he addresses in illustrating his points make for interesting reading and prompt the reader to consider various what-if scenarios. But one comes away from the trilogy recognizing that the subject is so big that even the best minds writing in such magna opera as Castells’s are incapable of giving us the full sense of the revolution we are witnessing. The advance of the Information Age is in many ways like the development of a new empire, though this empire is not limited, as others before it have been, to time and space. Several questions remain, however. At what stage are we currently in the life of this new global empire? Will the global economy and culture prevail, or will society fragment? Can the dark side of human nature be overcome before the full power of the Information Age is unleashed? This is the drama for which Castells wisely refuses to provide an ending. So often in the past, the real enemy of empires was not the foe without but the dark side of human nature within. More often than not, empires collapsed because of internal social forces at work—the moral decline and eventual collapse of the Roman Empire being perhaps the most notable example. The astonishing powers being unleashed by the explosion of information technologies will demand strong moral and ethical character from the citizens of this new global empire if it is to enjoy a happier fate.